Gemstones and essential oils go well together especially when we are setting intentions for various life situations and we want to amplify their power. Add the high vibration of archangels to the mix to increase the power of the associated intention to amplify your desired reality. Use a combination of essential oils and gems and ask for assistance from an archangel to make your life easier and manifest your ability to manifest is improved. Many people are in search of assistance to feel safe, peaceful, and protected. 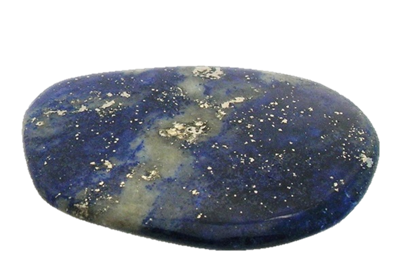 Lapis lazuli is a grounding and protective gemstone. This deep blue gemstone with pyrite inclusions can help you activate the courage to fulfill your dreams and desires while feeling safe and sound. Sweet marjoram essential oil is beneficial to quell paranoia and fears so that you can move forward with your goals. Sweet marjoram essential oil is perfect to maintain a sense of calm and inner peace. Archangel Michael appears to be a favorite in the realm of the archangels. 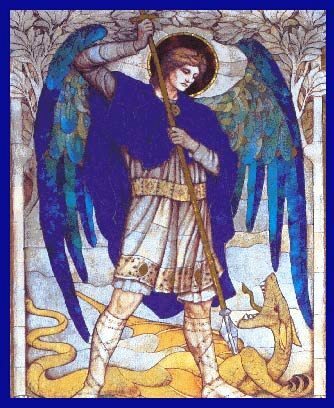 Archangel Michael is ready to guard and guide providing protection upon your request. Just ask for his assistance like you would ask a good friend. Affirm: I am always safe and protected. I have an entourage of archangels who always have my back. It is easy for me to remove obstacles from my path. I move forward with inner peace and grace. Essential oils and gemstone combinations are easy to use in your daily life. Inhalation sweet marjoram, state the affirmations, and visualize the desired result. Wearing the lapis lazuli in a bracelet, pendant, or earrings is effective. Carry a tumbled stone in your pocket or place the gem(s) on your desk or in sight. Every time you look at the gemstone or touch it, bring your awareness back to your intention. Remember, stay focused on what you want with mindfulness and the imagination.